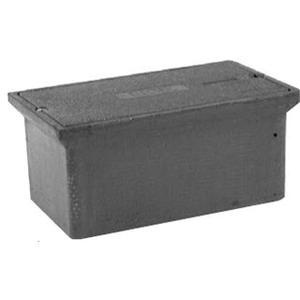 Quazite PG Style 22-tier cover in concrete gray color, is suitable for use with underground enclosures. Rectangle cover features polymer concrete construction. It measures 76-3/8-Inch x 52-3/8-Inch x 3-Inch. This cover has two 3/8-Inch stainless steel hex head bolts. Cover is UL listed.